When I choose to wear a casual outfit I always make sure to add an element surprise or an accessory in a very bold color to spice up the entire outfit. Todays look is the best example! A navy outfit with a burst of red and some "wild" print from my shoes make this casual outfit a not so ordinary one, don't you think? 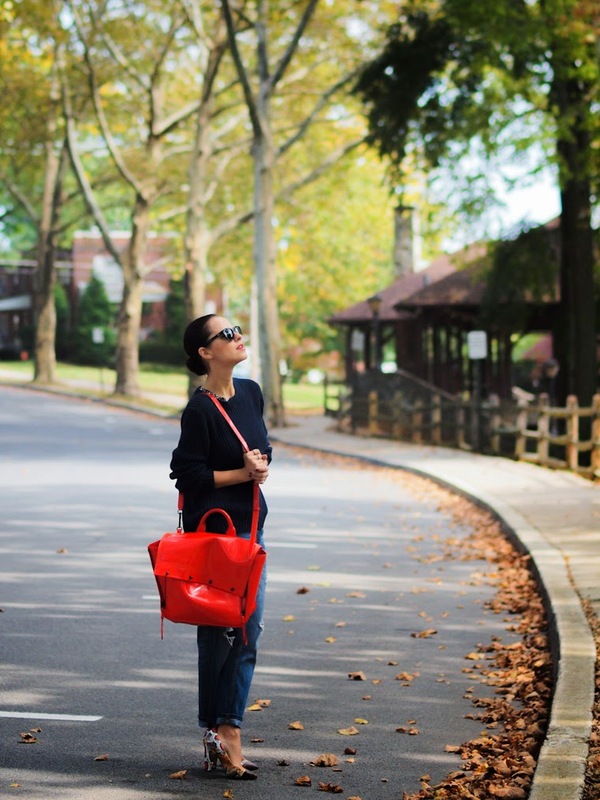 Jeans, an oversized sweater and your “surprise” elements – you have created a fabulous look! This outfit is perfection! I really regret not getting those fab heels when I saw them on the UO site! Absolutely love the shoes !! That’s totally a cool pair of shoes! Oh wow, I love those shoes! 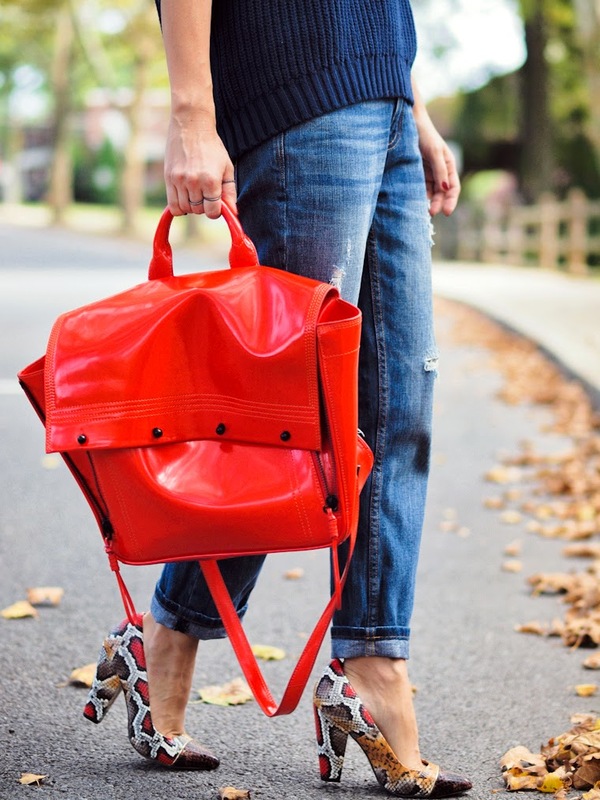 those shoes are amazing and the bag add the perfect pop of color to a casual outfit! Amazing heels! I love how you paired it with the bag! These shoes are just: WOW! Adorei o look todo ! Simple yet ultimate stylish. Timeless combo navy green and bright red!